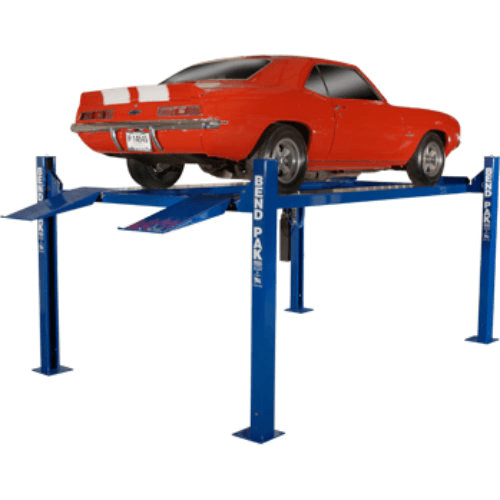 Vehicle lifts can be one of the most important investments you can make for your auto shop or garage. If you don’t have access to a specialist and need to come up with a way to differentiate from the different types of lifts available, let JMC Automotive Equipment help guide you through the learning and selection process. 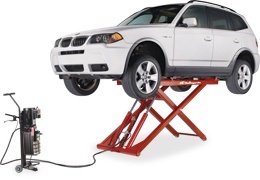 What is a Vehicle Lift? 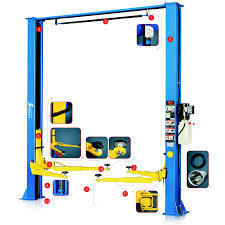 A vehicle lift is one of the most important items of display of most service and repair bays. They are an integral part of vehicle maintenance and repair tasks; they are used more times per day than just about any other piece of equipment in your shop. The market’s need for lift production has led to many different types of lifts all serving different types of shops as well as clients. The brand you decide to go to is open for discussion but for now, here are the different types of lifts and their uses. Cost-Effective option for people just getting into the auto shop world. Take up very little space. Time consuming to properly set the four lift points on some vehicles (medium duty trucks for example) because of their kick-up frame sections. Four post lifts only require 115-volt power supply while 2 post lifts require 220-volt. More variety in accessories and weight capacities. Depending on type it may take up more space. Scissor Lifts can also be divided into three groups: X type, parallelogram type and pantograph lifts. Like four post lifts, scissor lifts also come in a wide range of heights and capacities to suit the needs of either professional shops or hobbyists. Low rise scissor lifts are known for raising up to 36 inches off the ground, mid-rise lifts can raise between 36 and 48 inches and full rise scissor lifts can go anywhere above that. You might imagine all scissor lifts as small but parallelogram style lifts particularly are known to be some of the heaviest lifters on the market. In fact, scissor lifts exponentially increase in size in higher weight categories. Slight tweaking might be necessary for frame engaging style scissor lifts. When space is your primary concern you can’t really overlook the idea of a portable car lift. Some of us have limited space in our garages or shops and here is where portable lifts can really be of use. There are many different types of portable lifts because most brands offer their four post lifts, two post lifts and scissor lifts with the option of a portable version. Just be aware that with portable vehicle lifts you trade function for form. That means that due to the space problem, you will end up buying a portable four post lift that might not have all of the functionalities and or gadgets found in the non-portable version of that lift. You might also want to check the capacities on these bad boys before you try and hoist an oversized truck. The space you can save using a portable lift is unlike no other vehicle lift out there. It is pretty clear that we lose out on all lot of bells and whistles of other lifts when we choose a portable lift. When a vehicle is not being serviced the elevator (or scissor) like characteristic allows the vehicle to be stored underground. Clearly there are more disadvantages but the most important (other than cost) is the difficulty to detect oil leaks and because of that the EPA has mandated leak safeguards around all installed in-ground lifts. These lifts are the only ones in the industry that require this oil barrier that in conclusion can add to the cost of ownership. 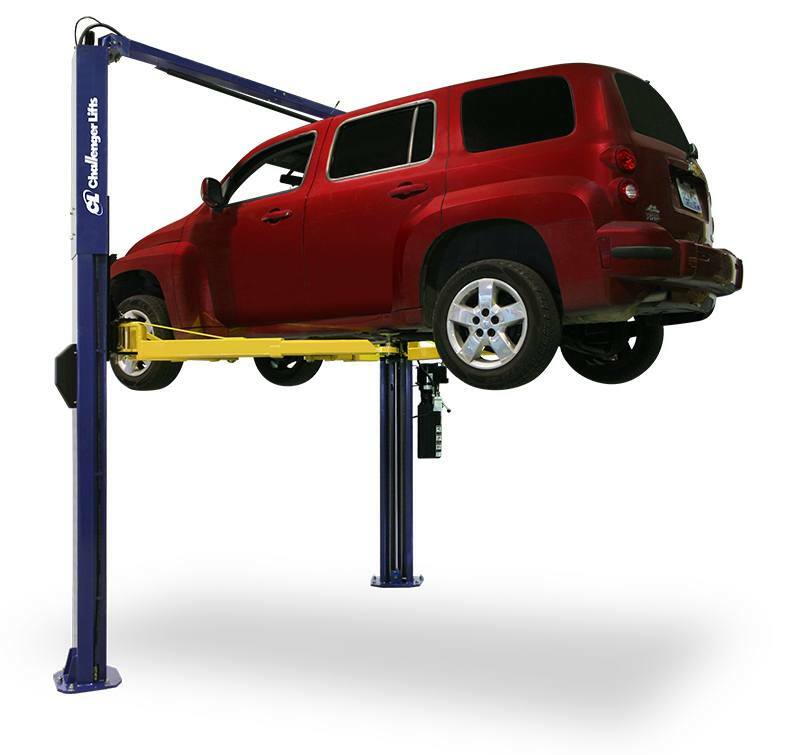 There is a common misconception when it comes to parking lifts and that is that you can use them to work on your vehicles just as well as any other type of lift. This is false. Parking lifts leave smaller footprints but automotive service, maintenance and repair is out of the question. These lifts are strictly for parking. Parking lifts feature a full drive-on deck as opposed to two runways. 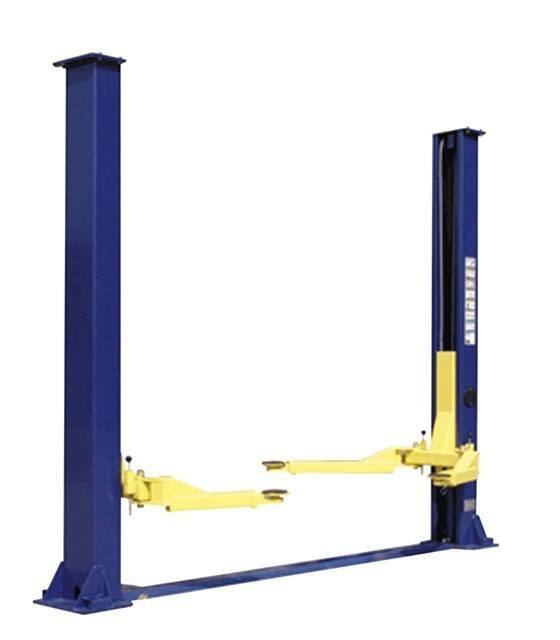 The lifting platform is supported by either a single post or two posts and is designed so that another vehicle can be parked beneath it. A single parking spot can now successfully do the job of two. Cannot service, repair or perform maintenance on vehicles. 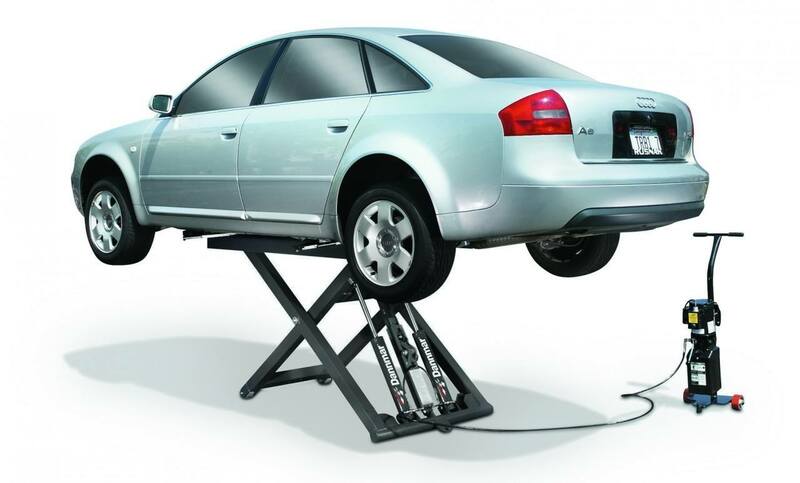 There are many benefits that come with purchasing a vehicle lift and trust us, once you do, the fun is just beginning. The first thing you must know before going off to purchase one is make sure you know the space you’d like and need it to take up, budget and which of the types we mentioned in this article better suit your needs as a shop owner or hobbyist. You might also want to ask yourself if in your garage or shop you have enough ceiling height to accommodate a 72 inch undercar height. Do you have concrete that is thick enough? And also, do you want a lift that will require 115 or 220 volt power? So call some friends over, order a pizza, grab hold of a six-pack and let the selection process begin. Don’t forget to take advantage of JMC Automotive Equipment’s sale season. 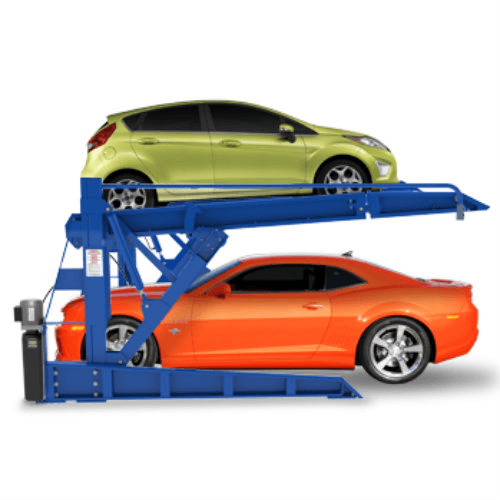 For more information on vehicle lifts and the selection process, contact JMC today.